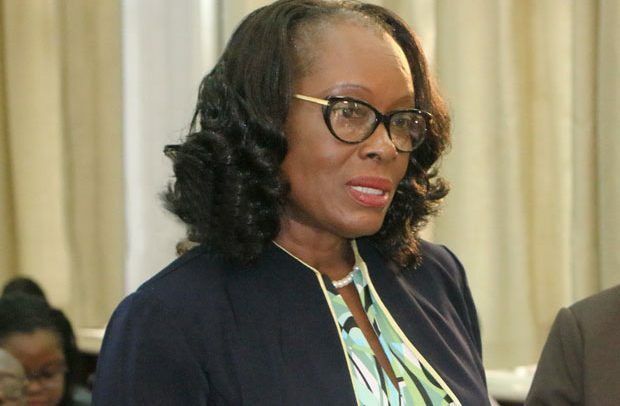 The Attorney General, Gloria Afua Akuffo, has filed an application for leave to discontinue a petition for the official liquidation of the Ghana Football Association (GFA) following an expose of corrupt activities in the football governing body. An Accra High Court on July 12, 2018 restrained the officials of the GFA from carrying out their official duties by granting an interlocutory injunction application filed by the Attorney General on behalf of government. The court has also granted an application by the AG to appoint the Registrar of Companies as the official liquidator of the GFA as government takes steps to dissolve the football governing body in the country. The appointment of the Registrar of Companies as the official liquidator pending the determination of an application to wind up the GFA, essentially, was to prevent the officials of the GFA from disposing off the properties of the association unnecessarily. But world football governing body, Federation Internationale de Footbal Association (FIFA) issued a 10-day ultimatum to government to discontinue its petition to have the GFA dissolved, or face a ban from football. In FIFA’s view, the move constitutes “government interference”. Government officials subsequently met with FIFA executives in Zurich, Switzerland, where government decided to back down on its decision to dissolve GFA. It also stated that a normalization committee will be set up to replace the GFA Executive Committee to run the daily affairs of the GFA and cooperate with the joint government of Ghana and FIFA/CAF task force, once the petition to liquidate the GFA was withdrawn. The AG has now filed an application to officially withdraw the petition seeking the liquidation and official winding up of the GFA. In an affidavit in support of the motion, a copy of which is available to DAILY GUIDE, it said government and FIFA have engaged in series of meetings to find interim measures for the administration of football in Ghana. It said “As far as the daily operations of the GFA are concerned, FIFA in consultation with the government of Ghana shall appoint a Normalisation Committee to replace the GFA Executive Committee. The Normalisation Committee will, among other things, assume the powers of the GFA, review the statutes of GFA and make all decisions regarding the future of football in Ghana”. It added that government, FIFA and CAF will form a Special Task Force to create proper disciplinary, governance and auditing bodies in order to ensure that any wrongdoing assessed and sanctioned by the laws of Ghana are punished.